My dad's 7.3L Turbo Diesel V8 work horse lives!!!!!!!!!!!!! It’s been almost a year. A lot of financial set backs but his 500,000+ mile work truck/office lives and runs!!!! Ban cars? Lol yeah sure. Just go ahead and ban the back bone of America then. I think NOT!!!!! Long live the working class and their trucks!!!!!! 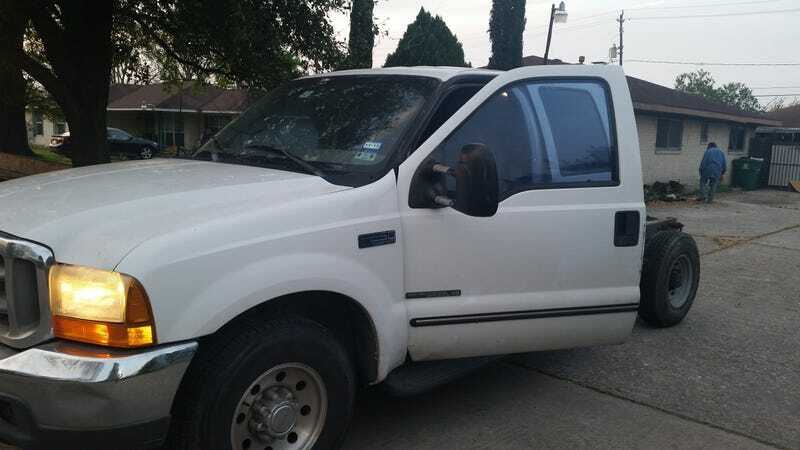 I am online trying to find one OEM Ford F-250 16.5 wheel. We found a bed for it with lights and bumper in very good condition for $250. Just some final adjustment, the bed, and a gooood detail. My dad is glad to have the beast back.